The White House Iftar Dinner was scrapped by Trump administration. Fez Zafar, a South Asian American high school student from Iowa, has started a national-wide movement by the name “The American Iftar Dinner” that aims at showing the world that the United States is a nation of tolerance and diversity. Since the time of President Bill Clinton, the White House has been holding special annual dinner with Muslim representatives living in the United States raging from journalists, activists and humanitarians. 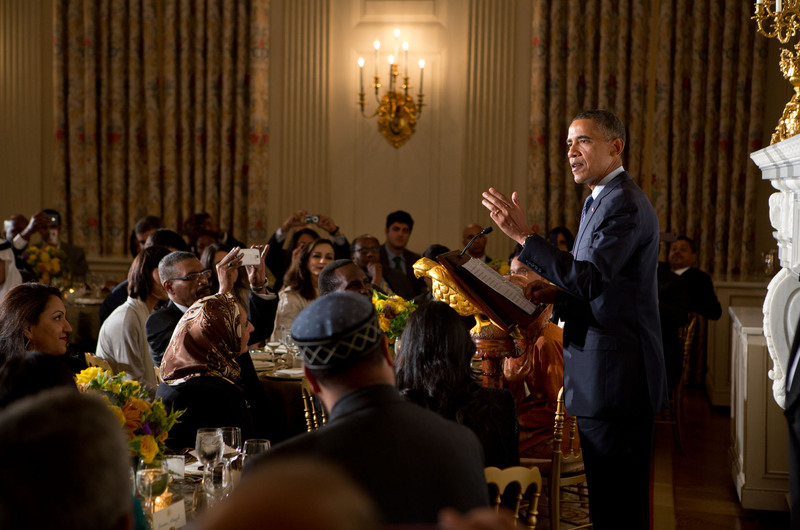 The program called “White House Iftar Dinner” continued through the term of Bush and Obama administration until it was scrapped by the current administration. Zafar is on a mission to revive the Iftar Dinner by collaborating with South Asian communities across the United States including that of the Indian American community. “As a South Asian American Muslim, I came up with the idea of reviving and re-creating the Iftar Dinner not just as a celebration of Muslims, but as a celebration of all the world’s religions, ethnicities, and cultures (including Hinduism, Christianity, Sikhism, Buddhism, and more), with the mission of showing the world that we are a nation of tolerance and diversity,” Zafar told Bazaar over email. According to Zafar, his initiative is not restricted on one event or a single location as he has urges all Americans to conduct “The American Iftar Dinner” across the US by inviting guests from diverse groups to sit around a dinner table. “At a time of global turmoil and intolerance, a movement like this is vital now more than ever. Our nation needs this wake-up call in order to realize that our diversity is what makes this country so great,” Zafar said. This year’s “The American Iftar Dinner” will be held on June 7, 2018, as universities, high schools, organizations, and institutions across the country will take part by hosting their own dinners in solidarity with one another. Zafar is collaborating with diverse people within our national community such as Bishop Pates of the Catholic Diocese, Rabbi Kaufman of Reform Jewish faith and Pastor Mike Housholder of Lutheran Christian faith to spread the movement. A sophomore at Roosevelt High School in Des Moines, Iowa, Zafar is also the founder of a 501(c)3 public foundation called ‘Site for Smiles and Smarts,’ an organization that maintains the mission of providing education and healthcare for poor and orphaned children living around the world. Zafar has a team of energetic youth from the student community who are helping him with his endeavor. His team also include two Indian Americans – JJ Kapur, a senior at Valley High School in West Des Moines, Iowa and Aarushi Dervesh a senior at Valley High School in West Des Moines, Iowa.